And I Enoch was blessing the Lord of majesty and the King of the ages, and lo! the Watchers called me—Enoch the scribe—and said to me: “Enoch, thou scribe of righteousness, go, declare to the Watchers of the heaven who have left the high heaven, the holy eternal place, and have defiled themselves with women, and have done as the children of earth do, and have taken unto themselves wives: Ye have wrought great destruction on the earth: And ye shall have no peace nor forgiveness of sin: and inasmuch as they delight themselves in their children [the Nephilim], The murder of their beloved ones shall they see, and over the destruction of their children shall they lament, and shall make supplication unto eternity, but mercy and peace shall ye not attain.” (1 Enoch 10:3–8). Yet beyond such historical accounts from apocryphal, pseudepigraphic, biblical, and Jewish traditions related to the advent of the Watchers and the “mighty men” born of their union with humans, mythologized accounts say these “gods” used humans to produce demigods (half-gods). In fact, when the ancient Greek version of the Hebrew Old Testament (the LXX or Septuagint) was made, the word “Nephilim”—referring to the part-human offspring of the Watchers—was translated gegenes, the same terminology used by the Greeks to describe the Titans and other legendary heroes of partly celestial and partly terrestrial origin, such as Hercules (born of Zeus and the mortal Alcmena) and Gilgamesh (the two-thirds god and one-third human child of Lugalbanda and Ninsun). This is where things get quite interesting, as on the back cover of the upcoming book by Dr. Michael Lake (on which this new series is based) you will find an unsettling statement involving what some would call the greatest of all “demigods” on the ancient plains of Shinar—a geographical locale in ancient Mesopotamia that the Hebrew Bible refers to as Babylon—where an evil was born: the first world king, the prototype transhuman, the ultimate despot named Nimrod in the Bible, Osiris by the Egyptians, Gilgamesh by the Sumerians, and Apollo by the Greeks. This part-human hybrid was the original Son of Perdition who later devised the “Shinar Directive”—a plot to enslave humanity through a global false religion that would turn men against God and the order of His creation. Of course, we all know how God intervened at the Tower of Babel and dispersed Nimrod’s original coup, but few understand that this story is not over yet—it’s coming around and was prophesied to do so in a final end-times conflict during which the primeval powers of Mystery Babylon would gather to build a new Tower of Babel for Nimrod/Apollo’s second coming. He was a rebel who allowed himself to be worshipped as a god. After the Flood, his rebellion became the foundation of mankind’s greatest religious apostasy. Down through the generations, this system of false worship became known simply as the “Babylonian Mystery Religion.” Its basis is quite clear. It attempts to channel the power of the ancient gods through the figure of one, powerful man. Nimrod became that god. Corrupt priesthoods have flourished, carrying with them the shadow of Nimrod and his ancient mysteries. Their inner secrets have been known by various names, including alchemy, magic, sorcery, conjuring, soothsaying and so forth.… waiting for the prophesied day when it would rise once again. [A movement that] will result in the reign of the Antichrist. 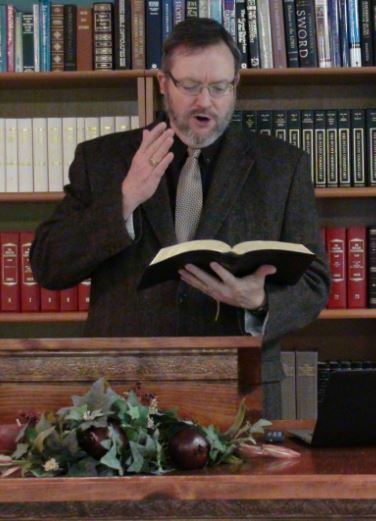 Enter Dr. Michael Lake, founder and chancellor of Biblical Life College and Seminary, whose shocking essay you will be learning about—a thesis that argues beyond doubt that we have entered the final time frame in which the spirit of Nimrod/Apollo is rising. Dare I say, with this fresh and imaginative investigation, that Lake emerges as one of the most judicious observers of the ages harkening back to those ancient occult-science endeavors—from megalithic building sites to the founders of Atlantian-like societies that to this day astonish scholars and laymen alike. Yet, argues Lake, there is more. 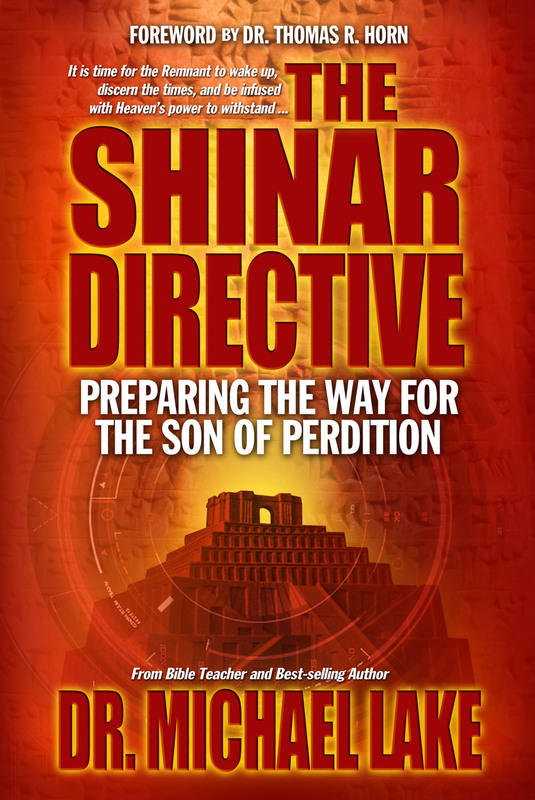 During this series and more completely in his upcoming book The Shinar Directive, he tackles the timeline between the first incursion of a mighty evil to its return and final encounter. Lake exceeds in making this near future chillingly ominous. Our eyes are opened to a biosphere and exosphere that have become a vast and stunningly dreadful battleground—a terrain as forgotten as prehistory, yet is as close to us now as our own tomorrow. This toxic reality was foreseen by Scriptures, both Old and New Testament, but soon will, by necessity, be traversed by gutsy end-time heroes, not highly trained black-ops teams or Elite commandos, but a triumphant Church! In the end you will find the greatest achievements of The Shinar Directive are apt, profound, and conveyed in riveting fashion: With this work, the past and future legacy of wisdom and revelation clearly shine forth in multifaceted grandeur—from the forgotten “knowledge” of so-called “gods” and their reconnection to the latest scientific advances to the terrifying underbelly of a boiling Armageddon and, finally, the brilliant and thrilling endgame that God has in store for His own. The journey begins in the next entry. I am in agreement with much of what Dr. Lake is presenting. It is nice to find that I am not alone in my effort to connect all the dots.